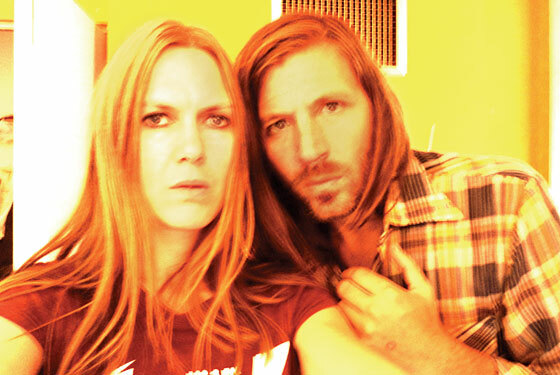 Juliana Hatfield looks panicked when she answers my knock at Evan Dando’s apartment door. The two rockers, both 43, had played their first show as a duo, at the Mercury Lounge, the night before. It was sold out. “I just got here, and I woke him up,” she says, opening the door wide enough to slip out. “You don’t want to go in there. He’s sort of living in squalor.” She suggests we go to a coffee shop to wait for him. The pair have known each other for twenty years. They were the pinup fantasy couple of Boston’s alternative-rock scene (she still lives there): both pretty, both damaged—he by drugs and she partly by her crush on him—and both experts at bohemian iconography. They’re still pretty, and they have each continued to record and tour (in 2003, Dando, without his band the Lemonheads, released Baby I’m Bored, and earlier this year, Hatfield put out Peace & Love), but neither is as famous as both once were. Instead of battling the current wave of nineties nostalgia, Dando and Hatfield have decided to embrace it by playing a few shows together, and perhaps recording an album. “This was a chance for us to be able to hang out,” says Hatfield. We decide to head back upstairs. Dando says a jolly “hey” to the doorman; he’s rented an apartment in this surprisingly generic financial-district building for eleven years and seems to know everyone we run into. “Should we go?” Hatfield asks. “You don’t like it here,” he says with mock injury.